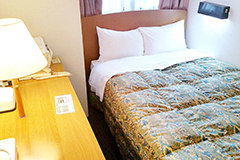 Please rerax at Business Hotel Nishiike after sightseeing. 24-hour front desk. So,you don’t mind time that close front desk. Triple room,but you can stay cofortable. Please choose smoking room or Non-smoking room.